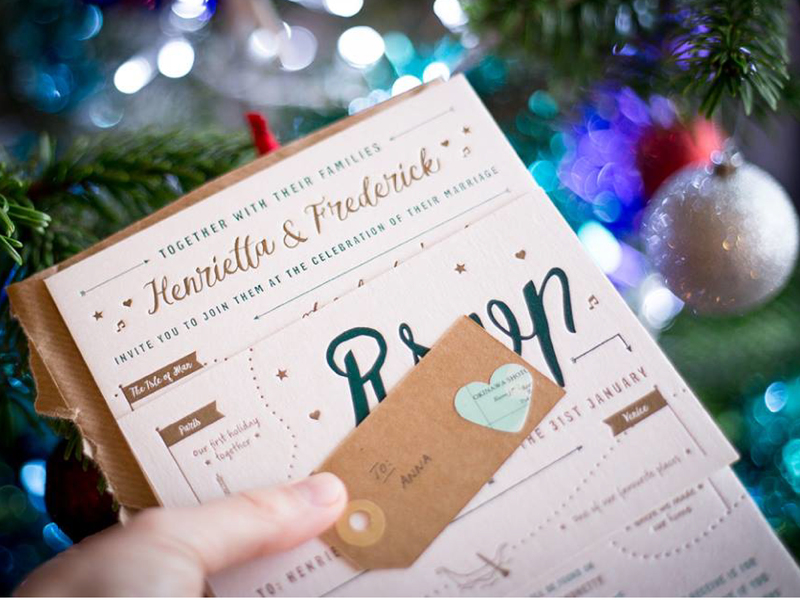 A bespoke christening invitation made up as a small booklet with 4 internal pages. 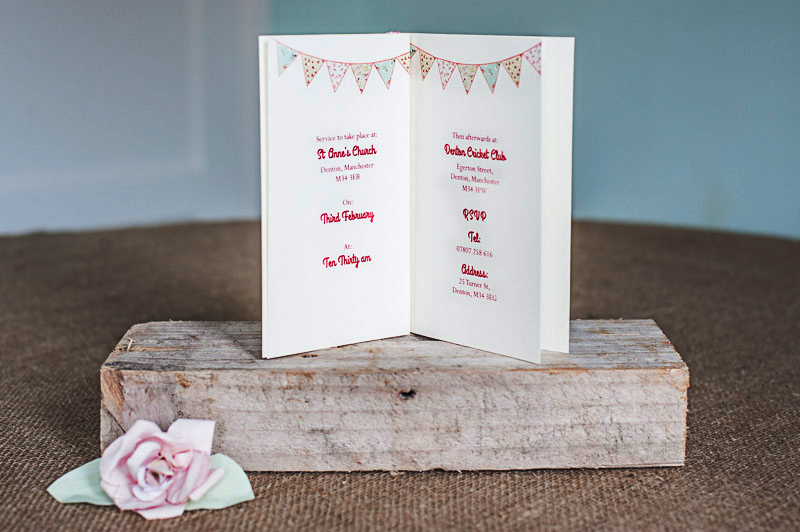 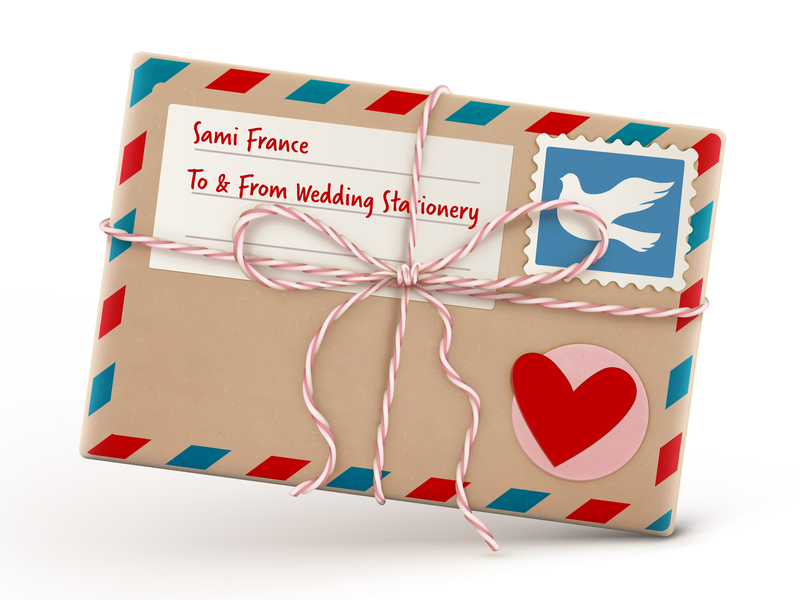 Printed on laid ivory card and paper and bound with Pink Gingham ribbon. 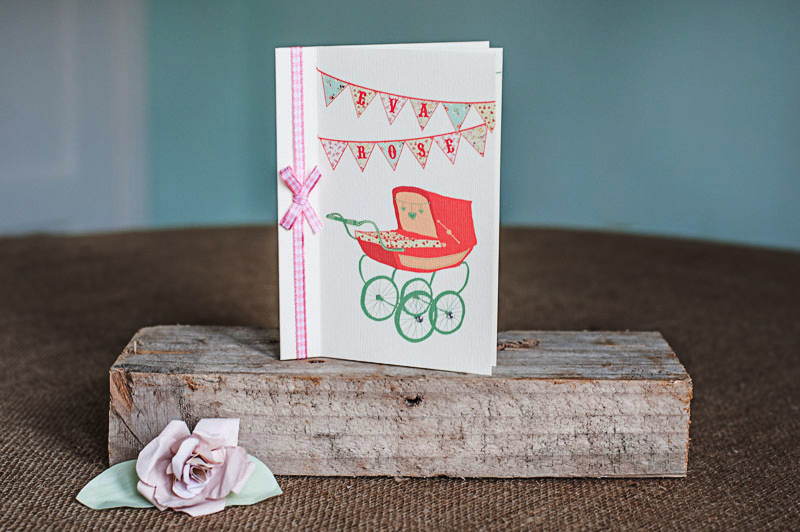 A bespoke Coach Pram illustration was designed to decorate the front of the invitation.